Tips for growing potatoes in containers. Learn how to plant, grow, and harvest potatoes in containers using gardening soil or straw as a growing medium. If you lack adequate space for vegetable gardening or just want a fun project for your children, potatoes in containers can be a delightful and tasty prospect! For this activity, you use a conventional waste can or container such as you keep your trash in but in this instance, it holds your growing potatoes! All you need is a space large enough to hold the potato bin, seed potatoes, and newspaper or straw. An added bonus with this type planting is you can purchase a container on wheels and move it around as needed. For centuries, the potato was considered unsuitable for general consumption throughout Europe. The Spanish, who are thought to have brought the vegetable over from South America only served the spud to their slaves. The English later introduced potatoes as a staple food for the Irish, while the preferred to eat parsnips with their roast beef back in England. The Germans fed taters to their animals and prisoners. 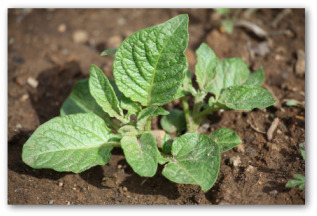 Part of the potato's lowly image lay in the fact that like the tomato, it is a member of the nightshade family and its leaves bear a striking resemblance to those of its poisonous cousins. Some people even thought the potato caused leprosy because of its lumpy, pock-marked appearance! Growing potatoes in containers is extremely easy. You can use an old plastic trash container that has been thoroughly cleaned. Drill or cut holes in the bottom of the can for drainage. Plastic containers are ideal because easily sanitized and portable, although metal cans work as well. If you have access to an old tire, you can use it for growing potatoes in tires. The tire can be filled with gardening soil, or straw can be used as the growing medium. Plant potatoes as following the directions below. First put a layer of straw or shredded newspaper in the bottom of the container. Next you add a few inches of top soil. The straw or paper covering serves to keep the soil moist. It also keeps the soil from being washed away through the drain holes. Although, some gardeners do not use any soil at all, just the straw, most add several inches of organic potting soil. Plant seed pieces that have at least one eye. 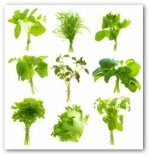 If you are a beginner gardener, you could borrow seed pieces from a neighbor with a promise to repay in kind next season! On the other hand, you can buy certified disease free seed potatoes from a nursery. Cover the seed pieces with about three inches of shredded newspaper, straw, or peat moss. Water until you see it draining from the drainage holes. Do not allow the bottom layer to dry out. 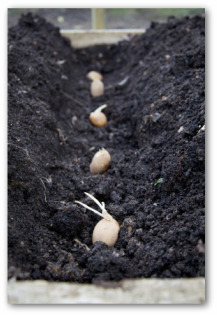 Although, it is important the potatoes do not sit in soggy soil; they need a moist bed. 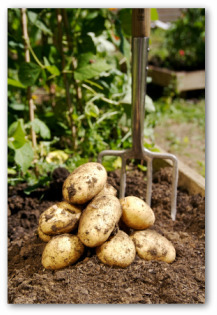 After the spuds grow several inches, cover the plants with additional shredded newspaper, straw or peat moss, so that only about one inch of the plant is visible. 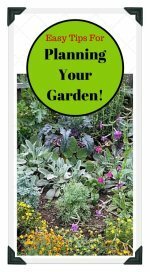 Continue with this vegetable gardening practice until the plants are taller than the container. Then stakes may be necessary to support the growing potatoes in containers. For protection against a chilly night, you could place the lid on the growing potatoes in containers. Remember to remove the lid during the day or the plants may be severely damaged. 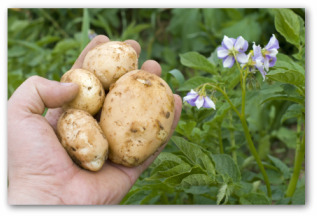 If your potatoes happen to have caught the sunlight and turned green, you can boil them and use the water, when cooled, as an effective insect repellent for spraying on plants. When the flowers begin to bloom, you can reach in and harvest new potatoes. As the blooms start to fade, the potatoes underneath the straw are growing bigger. Wait about 2 weeks after the potato foliage turns brown and withers before harvesting your potato crop. With the arrival of harvest, you will have a container full of delicious potatoes. The potatoes can be stored in cool dry location.